Celebrating Work: Insights for Leaders Building Great Workplace Cultures. Surprise your employees with employee appreciation gifts for Easter and Spring. One idea: tuck a surprise into an Easter basket! Surprise your staff with employee appreciation gifts from gThankYou to celebrate Easter and the joys of spring! gThankYou Gift Certificates make it easy, affordable and meaningful to thank employees at the holidays or anytime. Available in a range of values from $5 to $30, gThankYou Gift Certificates allow recipients to choose any Brand of merchandise from virtually any chain Grocery Store in the U.S. Your employees will appreciate the freedom to choose the brands they like, when and where they would like to shop. gThankYou Certificates are Manufacturer Coupons that are redeemed at checkout just like other cents-off coupons. Plus, all gThankYou Gift Certificates come with free personalization and your choice of free, custom Enclosure Cards — including card designs to accompany Easter, Spring and Summer employee appreciation gifts! Order today online or by calling 855-407-9025. Nearly all gThankYou orders ship the day they are received, with delivery as soon as the next business day. Interested in large-volume discounts or worried about making a specific deadline? Call 855-407-9025. Read on for employee appreciation gifts of gThankYou Gift Certificates to fit every occasion this spring. gThankYou provides FREE Gift Enclosure Cards customizable with your message of thanks and even an organization logo! This spring, think small for employee appreciation gifts! Even the smallest of gifts matter in the workplace, according to Menlo College president Richard A. Moran. Small surprises are what spring is all about! When you reward your staff with a surprise gift, however small, you’re helping build a culture of gratitude that grows through everyday actions. Gift-giving should be part of your overall engagement and appreciation strategy, of course — and small, frequent gifts are better than a once-a-year big gift. By sharing gifts more frequently, your team has more opportunities to express appreciation. Your gratitude is one of the most reliable, effective ways to increase motivation, engagement, retention and productivity. Give the traditional centerpiece to the Easter meal with a ham gift. It’s practical, meaningful and appreciated! gThankYou! Ham Gift Certificates are good for any brand and any preparation of a whole or half ham. Plus, your employees can share and enjoy their ham gift with family and friends. gThankYou even offers free downloadable cookbooks so your recipients can create the perfect holiday meal at home. Have a diverse workplace? Give the gift of choice. Recipients can choose to redeem their Turkey or Ham Gift Certificate for either a whole turkey or a whole or half ham, whichever is best for their family celebration. Tuck this Gift Certificate into a colorful Easter basket with a card wishing “Happy Spring!” Recipients will enjoy redeeming their gThankYou! Candy Gift Certificates for their favorite Easter candy and novelty chocolate bunnies and eggs. June is Employee Wellbeing Month. Plan now to share Fruits & Vegetables Gift Certificates with your staff as part of a workplace health and wellbeing initiative. Fruits & Vegetables Gift Certificates encourage healthful choices, plus they make great rewards and raffle prizes. The ultimate Gift Certificate of choice, Grocery Gift Certificates allow recipients to choose any food items (any brands, any preparation) to build the meal they want from scratch. Grocery Gift Certificates make great appreciation gifts in conjunction with healthy-eating or nutrition classes, too. 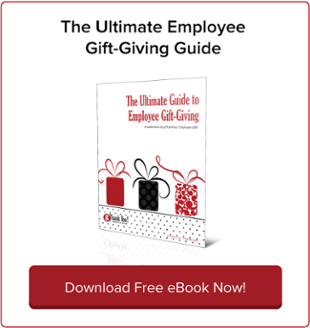 Want to increase the impact of your employee appreciation gifts? Include a short, heartfelt note of Thanks. 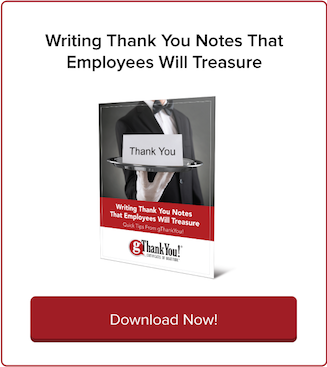 For tips on how to thank employees, download the gThankYou! Guide to Writing Employee Thank You Letters. 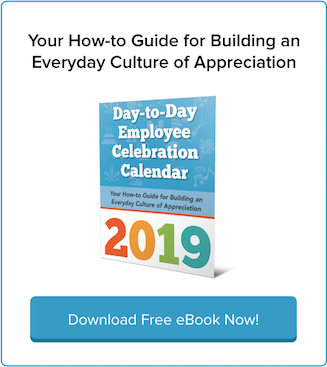 Download your FREE 2019 Day-to-Day Employee Recognition Calendar, your guide to building a successful workplace culture of positivity and gratitude. 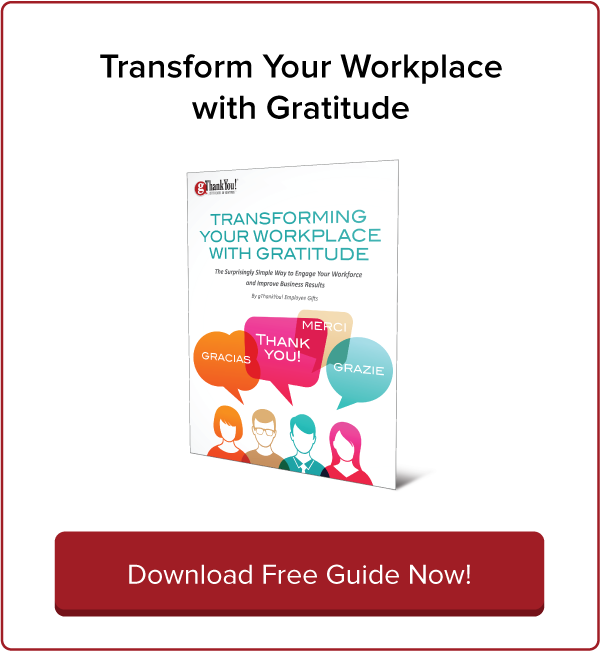 The gThankYou 2019 Day-to-Day Employee Celebration Calendar gives you the tools and inspiration to build a culture of appreciation every day of the year. Download yours today, absolutely free. Here’s to building a happier workplace! Download Our Free Guide Now! Subscribe to email updates and receive today's best thinking for building a happy, loyal and productive workforce. I want to build a great workplace culture! Want to recruit and retain a happier, more productive workforce? Download one of these FREE eBooks and start today! About the Blog: The gThankYou! Team believes happiness and engagement are key ingredients to a successful workplace. That's why we give workplace leaders advice and insights to build a culture of gratitude. We invite you to explore our blog and discover ways to celebrate and build successful workplaces. About gThankYou: gThankYou is a leader in easy, affordable and meaningful employee gifts. We are best known for America’s favorite Turkey Gift Certificates and Turkey Or Ham Gift Certificates which are redeemed for any Brand, at virtually any Grocery Store in the U.S. To learn more about gThankYou Gift Certificates watch the video on the right. gThankYou! Certificates of Gratitude and our free Enclosure Cards can be personalized including your company logo. Nearly all orders ship same day.